HomeRedwood CityWhere should Ampex sign go? 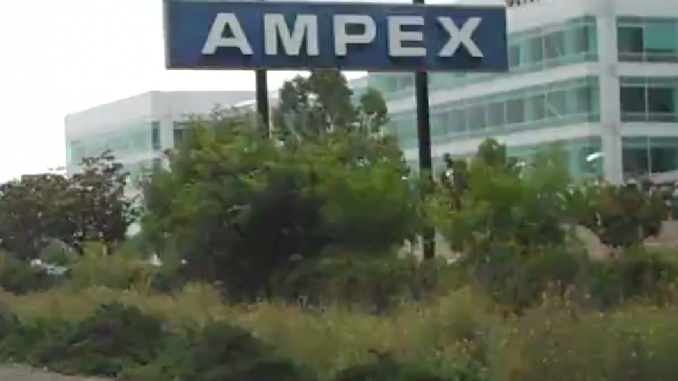 Redwood City officials are in talks with Stanford about where to put the Ampex sign that stood next to Highway 101 for more than half a century — after its removal last week shocked a number of locals who knew the sign as a Silicon Valley landmark. 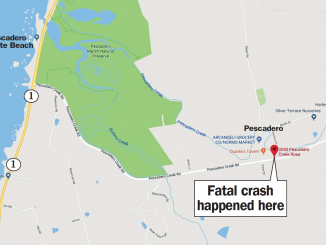 Jeff Day, 48, of Palo Alto, said he had driven past the sign for his entire adult life, since he learned to drive as a teenager. When he saw the Ampex sign, he knew to take the next exit to get to the car painting shop where he worked at Spring Street and Second Avenue. “I was sad about it because it was kind of like a landmark for me,” Day said. 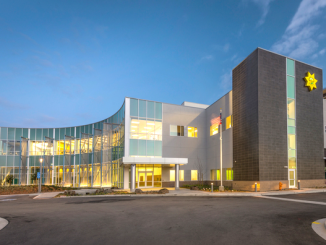 Jim Recker, 60, of Redwood City, wrote to Mayor Ian Bain on Sunday (Aug. 19) evening, citing a 2013 article in the New Yorker about the company’s history. Bain added that his father-in-law worked for Ampex for 35 years and his wife worked there her senior year of high school. 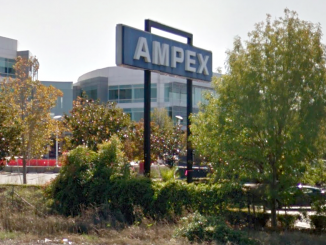 “We know many people who worked there and I am well aware of what Ampex meant to Redwood City, and the development of Silicon Valley,” Bain wrote. Bain didn’t return a request for comment yesterday (Aug. 20). “They don’t necessarily need to be the keepers of historical landmarks in Silicon Valley, but certainly in their role I would expect them to actually make sure that historical memorabilia is kept around so that future generations learn about all the stuff that was done in Silicon Valley,” Recker told the Post. Ampex invented the first videotape machine in the late 1950s, one of the earliest high-tech products developed in Silicon Valley. The company moved to Hayward in 2008, but the sign remained through ownership changes at 500 Broadway. Now, Stanford owns the land as part of its new Redwood City campus and removed the sign last week. I think it approaches the level of travesty to have taken down the Ampex sign. It held a lot of meaning for me, too, since my favorite recording artist (Todd Rundgren) began his solo career on the Ampex label. I hope the sign will be preserved somewhere so that all may continue to enjoy it. What does Stanford gain by taking down the sign? It didn’t block any parking spaces. I doubt it created any confusion by those who use Stanford Health Care? I don’t understand their thinking on this one. With all due respect to the history of the sign – it’s a very large and ugly sign. People aren’t going to stop and ask ‘what company was this?’. The logic to keep it based on it’s legacy in the area implies should we keep signs for every large company that has come and gone over the last 50 years? And that’s more than we can count. Ampex not only created the VCR, there are also connections between Ampex engineers and tech, and Atari and the birth of the videogame industry. Stanford continues to treat Redwood City as a second-class citizen. Yet another reminder of a crappy, one-sided development agreement. Truly, what was the harm in leaving it in place?